It is that time of year again! The day that we gather together as a community and celebrate the fine specimen that is the venerable Porcine. Pigs have played a valuable role in the history of our great Nation. However, they are also delicious. 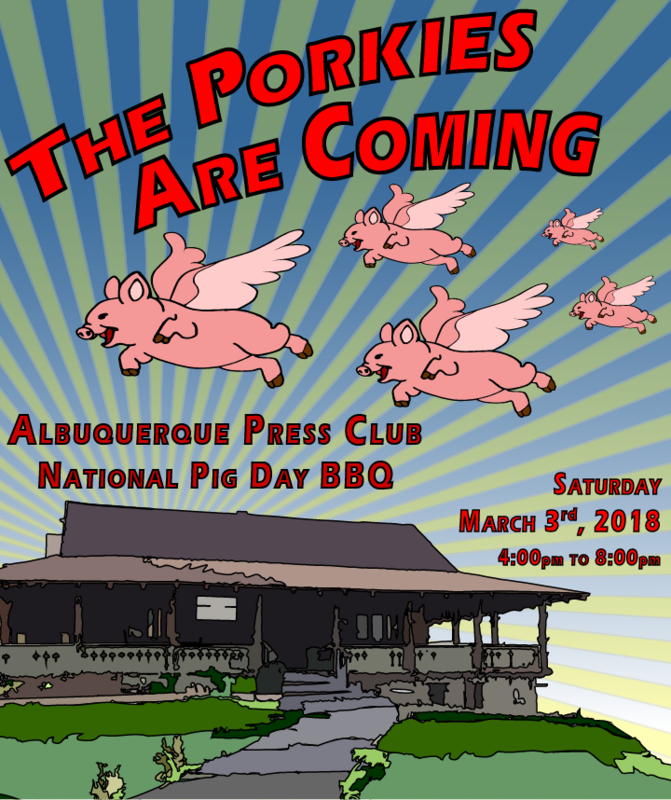 To celebrate National Pig Day, we personally invite you, our members and your guests to join us at our 3rd annual National Pig Day BBQ with all of us here at the Albuquerque Press Club! The Club will open at 4pm with appetizers available shortly thereafter and the full BBQ served at 6pm. The suggested donation for the BBQ is $10 per person. All proceeds go towards new chairs for the Club. We look forward to seeing all of you at this years annual Pig Day BBQ! Thank you for being a member of your Albuquerque Press Club.